If you make a magnificent Thanksgiving dinner and didn't Instagram it, did it really happen? The most important part of Thanksgiving dinner? The turkey, of course. The second most important part? Getting that perfect, scrumptious, beautifully staged turkey Insta shot. 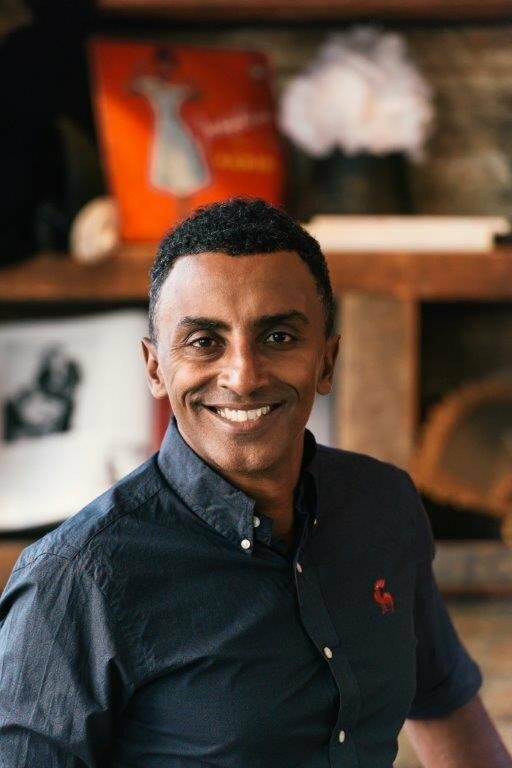 So to prepare the biggest food holiday of the year, we went straight to the expert, celebrity chef Marcus Samuelsson. Owner of the popular Harlem eatery Red Rooster, Samuelsson shares his tips and tricks for cooking a dinner that will please any palate and have your guests lighting up their feeds with a filter-worthy turkey pic even Norman Rockwell could appreciate. Cooking a Thanksgiving turkey can be a little intimidating. Any tips? How do I make my turkey Insta-worthy? When it's 45 minutes on, at that point you can add maple syrup and honey [to the pan juices you are basting the turkey with] to get it to caramelize more. And then, if you still don't have that color, I add a little soy to it to get that beautiful Rockwell moment. On the sides, it's really the opportunity where you can be less traditional. I like Brussels sprouts with chestnuts and maybe you fold in some caramelized bacon into that and throw in some sour dried cherries. Its all about texture. Butter is a huge part of most Thanksgiving sides. Any suggestions for a vegan guest? What is your go-to Thanksgiving leftover dish? 1. Wash all of the yams and place them on a sheet tray. 2. In an oven preheated to 400 degrees, cook the yams for 30 mins. 3. Once the yams are cooked, remove the flesh from the skins. 4. In a medium pot over medium heat, warm up the coconut milk. 5. Place the sweet potatoes in a food processor and add some coconut milk to make smooth. 6. Add Spectrum Organic Virgin Coconut Oil and season with salt. Continue this process until all of the yams have been incorporated. 7. When this process has been completed, add to a container cool.